Blog post by Mark Rice, Policy and Advocacy Manager at RESULTS. Originally published on DevPolicyBlog. As Australia’s nearest neighbour, Papua New Guinea (PNG), hosts the Asia-Pacific Economic Cooperation (APEC) leaders, it is timely to examine action on a key cause and outcome of poverty in PNG and other APEC countries – inadequate nutrition. This is an issue that APEC leaders recognised as a priority, as the 2017 Leaders Declaration included a section on food security and agriculture. Both the Millennium Development Goals (or MDGs) (2000) and the Sustainable Development Goals (SDGs) (2015) have included goals to dramatically reduce or end hunger. The MDGs included a target to “halve, between 1990 and 2015, the proportion of people who suffer from hunger,” which the world came close to achieving – the proportion of people in developing countries who are undernourished did fall by nearly half between 1990 and 2015. By 2030, end hunger and ensure access by all people – in particular the poor and people in vulnerable situations, including infants – to safe, nutritious and sufficient food all year round. By 2030, end all forms of malnutrition, including achieving the internationally-agreed targets on stunting and wasting in children under five years of age by 2025, and address the nutritional needs of adolescent girls, pregnant and lactating women and older persons. Even with these ambitious goals, and some progress towards them, the extent of hunger and malnutrition remains distressing. In 2017, 151 million children were stunted (below average height for their age, an indicator of chronic under-nutrition), a reduction from 198 million in 2000. In the same period, the number of children who are overweight (a measure of poor-quality nutrition) increased from 30 million to 38 million. The total number of people who are undernourished was 815 million in 2014 to 2016, a moderate reduction from the one billion undernourished people in the early 1990’s. 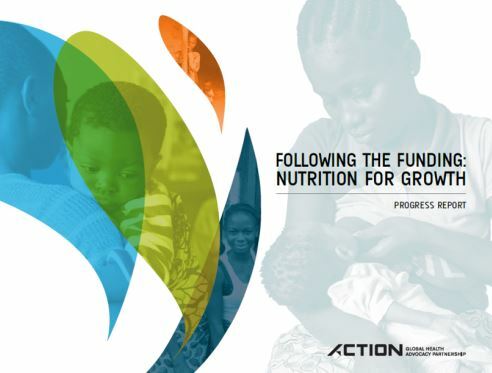 In June 2013, leaders from countries with high burdens of under-nutrition and donor countries gathered with philanthropic leaders and business executives at the Nutrition for Growth Summit in London, making pledges of US$4.15 billion on nutrition-specific interventions and an additional $19 billion on nutrition-sensitive sectors between 2013 and 2020. Nutrition-specific interventions address nutrition directly, and include emergency feeding, disease management, maternal and child micro-nutrient supplementation, and improvements to diet, water and sanitation. Nutrition-sensitive interventions include food security, care-giving resources at the maternal, household and community levels, agricultural interventions and programs, and social safety nets. In 2016, the World Bank, Results for Development, and 1000 Days, with support from the Bill & Melinda Gates Foundation and the Children’s Investment Fund Foundation (CIFF), released an investment framework for nutrition that clarified the funding required to achieve nutrition goals. The framework estimated the gap in funding to reach the 2025 World Health Assembly targets for nutrition (including reductions in stunting and wasting of children and increased breastfeeding) at $70 billion, and that donors, high burden country governments and innovative financing mechanisms would need to significantly step up funding to meet the 2025 targets. The Investment Framework for Nutrition also assessed the costs and benefit analysis of nutrition interventions, finding that one dollar invested in nutrition could yield between $4 and $35 in benefits; interventions to promote breastfeeding yielded the high end, and interventions to reduce wasting yielded the lower end. The analysis also showed that $70 billion invested in nutrition interventions by 2025 would avert at least 3.7 million child deaths. Five years after the 2013 Nutrition for Growth Summit, it is timely to review the delivery of commitments that were made and to assess the new pledges needed to achieve global nutrition goals. A new report by the ACTION Global Health Partnership, Following the funding, assesses recent funding by bilateral and multilateral funding agencies and philanthropic organisations since 2013, and examples of the impact of this funding. One constraint on the reporting of funding is the availability of data – some national governments and international donors do not report in detail on their spending on nutrition. In Australia’s case, DFAT reports in detail on nutrition funding on a biennial basis, which provides an overall indication of trends in nutrition spending, but with gaps in recent information. The 2016 figures for Australia indicate that most of Australia’s support for nutrition is through nutrition-sensitive funding, with nutrition-specific funding being US$16 million in 2016, or just over 0.5% of the aid program. Some donors, such the United Kingdom and Ireland, made ambitious pledges in 2013 and have delivered funding consistent with these pledges. Others, such as Canada and Australia, made modest pledges in 2013, and have largely delivered these amounts. Some contributors, such as the World Bank Group and the European Union, announced ambitious pledges but either have not reported detailed data (in the case of the World Bank) or appear to be falling short of the pledge (European Union). The current version of the report does not include detailed data on nutrition spending by low- and middle-income countries, although details from several countries in Africa will be included in an updated version of the report due for release in the coming months. The situation of countries in Australia’s region shows the importance of nutrition for national governments. In two of Australia’s largest aid recipients, Papua-New Guinea and Timor Leste, approximately half of children are stunted – among the highest rates of stunting in the world. Information on the impact of nutrition funding has also been limited. The Performance of Australian Aid report 2016-17 does indicate that Australian-funded programs provide nutrition services to 2.1 million women and children in Indonesia and 130,000 women and children in Pakistan. The ACTION Partnership report also suggests that increased transparency on nutrition spending and its impacts is required, given the limited data available from many governments. The launch on 11 October at the World Bank Annual Meeting in Bali of a Human Capital Index that ranks countries on key indicators of whether young people can achieve their potential, such as the rate of stunting, should promote increased transparency on nutrition funding and outcomes. And increasing the priority for nutrition in Australian aid would be a valuable initiative for the new Assistant Minister for International Development, Senator Anne Ruston (a former Assistant Minister for Agriculture), to take up.